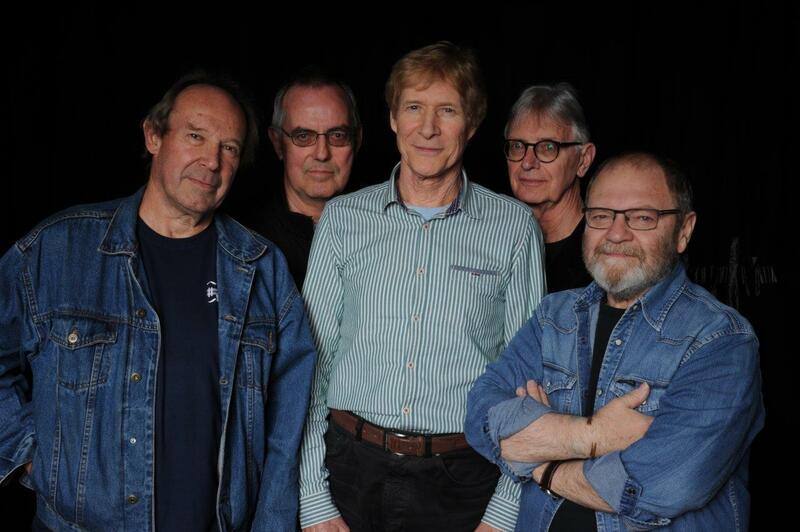 Paul Jones brings his top quality Blues Band to town. The Blues Band: 39 Years and Counting! What does a great, lively musical tradition demand? Discipline, devotion, passion and love. Whether it’s Beethoven or B. B. King, Howlin’ Wolf or Handel, it all sounds better with a huge helping of skill, virtuosity and feeling. So when it comes to the Blues, aficionados of the genre can relax, because with The Blues Band, their music’s in good hands. Formed in 1979 by five seasoned musicians, The Blues Band are celebrating 39 glorious years as Britain and Europe’s leading exponents of one of the greatest musical traditions of all time. It began back then with a phone call by Paul Jones, actor, singer, musician and radio presenter, no stranger to the pop charts throughout the 1960s as front man for the hugely successful Manfred Mann. His fellow Manfred Tom McGuinness shared the same love of the music - he’d started out with Eric Clapton in the Roosters. And they knew the right people to make their idea for a band ‘just to play the blues’ work; they brought in legendary slide guitar man and singer Dave Kelly, who brought along a talented fellow musician, bassist Gary Fletcher. With the addition of Tom’s chart-topping partner from McGuinness Flint, drummer Hughie Flint, (ex-John Mayall’s Blues Breakers), that first line-up stormed the post-punk music scene, and contrary to their expectations, they soon left the pub scene behind for an international career playing the music they loved. After two and a half years, Hughie Flint left due to the pressures of touring. His place was admirably filled by another fine drummer, Rob Townsend, a member of one of Britain’s most eclectic, legendary outfits, Family. The rest, as the saying goes, is history. But what history. TV, films, a stadium tour with Dire Straits, over 20 albums, within a few years the Blues Band’s deep, well-tended roots had brought them the status of lasting legends. From Greece to Finland, Poland to Portugal, Italy to Denmark, when the Blues Band arrive, the fans turn out in their thousands. What’s on offer is always the same; a stunning menu of original compositions and blues classics, all delivered with passion, knowledge, love of the genre and entertaining showmanship. Other blues groups come and go, but it takes something special to achieve the iconic prestige enjoyed by The Blues Band. If you want to know what 38 years of skill and devotion sound like, here’s your chance - if you love the blues, it doesn’t get any better than The Blues Band.